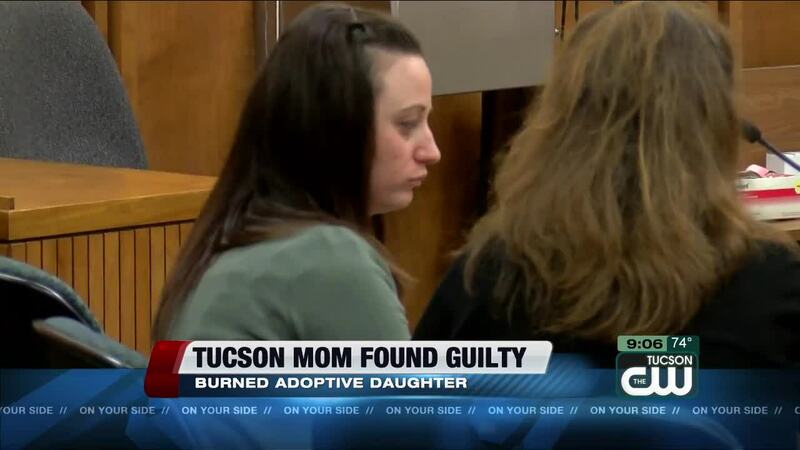 A jury reached a verdict Friday in the trial of Tucson mother Samantha Osteraas. Osteraas was found guilty of reckless harm and failure to seek treatment following her adopted daughter being burned in bathtub water. Osteraas will be sentenced on Dec. 3. On Dec. 29, 2016, just after 8 p.m., deputies responded to the Osteraas home on the 2900 block of West Sun Ranch Trail for a report of a rescue follow-up. Upon arrival, deputies learned that her 5-year-old daughter had sustained significant burns as a result of hot water from a bathtub. Authorities say the child ended up with third-degree burns over 80 percent of her body.